Every company handles their records differently, but one thing that every company has in common is making sure that their records are taken care of properly. You never want to lose site of your records, or put them in the wrong hands. You can’t expect your company to be successful if all of the information for your entire business isn’t kept properly. 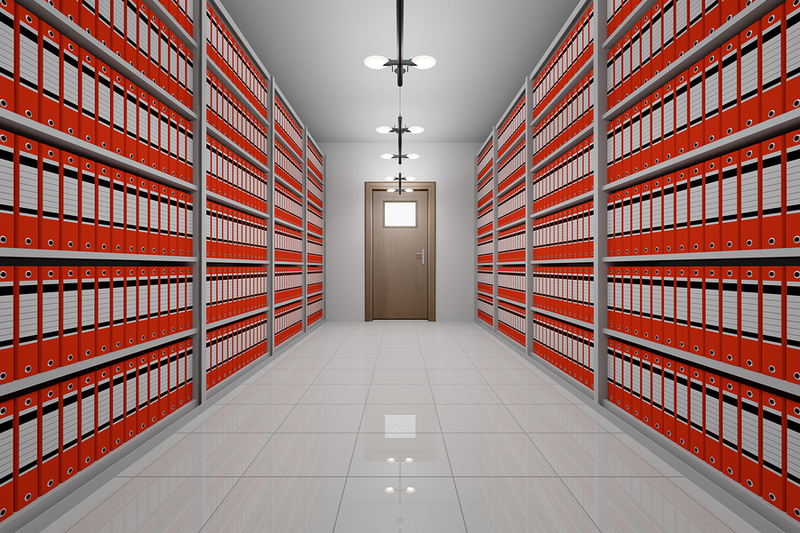 Most businesses don’t have enough room to store their documents on-site so they actually have to put them into a storage facility. This can actually be a better option than storing them at your facility in case anything were ever to happen to your location. This is also a nice option because it saves so much space in your office for you to keep other important business supplies. What are some of the first things to look into when you are trying to find a record storage facility though? When you are trying to find the right company to handle your companies private information, you want to figure out what your company’s policies are before you sign up for anything. Do you need to have a climate controlled facility? Are you looking for added security, or rotation services? Do you just need a place to put boxes, but you don’t need that much security? Every company is going to have separate needs and you could be looking at anything from just a regular storage facility, all the way to a top high security record storage facility. Address what you need specifically and then you should be able to find a location that is perfect for your business!